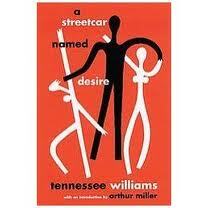 January is a freebie month at Let's Read Plays, so I've chosen something very different from classical plays. And it really is different in many ways, and the most striking difference of all is in form. As you open the book, you don't see the list of characters, there is no strict act-scene structure, and the descriptions are far more extensive than I've ever seen. What so we usually see as a commentary in plays? [somebody laughs], [some place], etc. But Williams creates the whole atmosphere with his descriptions, and everything plays its role: sounds, light, some small objects in the scene... For 3 hours I was completely lost in the book, and I can still visualize the small house in New Orleans where everything happened. As to the plot, I thought it was very predictable from the beginning, but it didn't turn out so. The conflict I was expecting to be the main one (a plain and quiet wife vs. an intriguing and sensual newcomer? we know where this leads) was moved to the very end and was not finally important after all. Deeper things came out on the foreground - the decline of the landowner aristocracy, unwillingness to accept changes in life, and even madness. I can't say I sympathize with any of the characters in the play, and this can only mean the characters are very real and believable. (What? You didn't know I hate people? ;) ) And I think that this is wonderful descriptions that make them real. Sometimes you feel you need to see an adaptation to really understand somebody's motives in the play, but this play can be read as an independent novella, completely forgetting it was meant for the stage. So now I know what an American play looks like, and all I want to say is that I'll be reading more of them. I'm going to watch an old movie adaptation with Vivien Leigh (who, I think, will suit perfectly) some time this week if I have chance, and I'll compare reading it to watching it. Kill yourself if you don't pass them all. Or make your conclusions and study harder. OK, I know you have work and health issues, but seriously, you can do better, my dear! Don't drink any energy drinks or coffee for at least a month after the exams. You've overdone your norm. Use green tea, it works for you, so why do you hate it so much? Stop eating crap. Really, just look at what you are eating just because you are lazy. I'm surprised you still fit in the doors after all this. Exercise. Preferably outside. At least get out of this building you live/work/study in regularly! Have a plan, will you? This thing, time management, know it? Use it! Look nice. OK, everybody is wearing jeans and T-shirts around here, but they are BOYS. 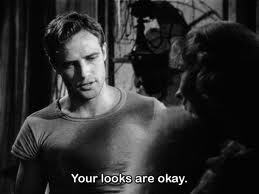 You aren't. Remember it, OK? Or you'll grow some beard soon. And the most important: be awesome and... "Don't panic!" Well, the song has no great connection with the plot except that it's one of the favourite songs of Naoko, a girl with some psychological problems and a tragic love of Vatanabe, the main hero. The book is full of song-mentioning, which is sometimes tiring if you do not know the titles, but which also adds some nostalgia to the book. Vatanabe, being 39 and living abroad, is remembering his youth at the university and his difficult relationship with Naoko. Now, everything is difficult here, because for her whole life she was a girlfriend of Vatanabe's friend, who committed suicide when he was 17. Because of this and because of other family problems she has some mental problems, and her developing relationship with Vatanabe is making it worse. Meanwhile, Vatanabe is studying at the university, ignoring political life around him, making strange friends and trying to decide what to do with his life. All this said, the book is very easily read, it just flows by as you say "Hello!" and "Goodbye!" to different characters that get involved in Vatanabe's life. So I rather enjoyed the book, and I wish I read it when a teen, without some skepticism which I can't put aside now. Recommended to those in a mood for some tragedy and strangeness! На протяжении всего фильма нам предлагают любоваться страдальческим выражением лица Орлеанской Девы, причем крупным планом, что, скажем честно, не очень приятное зрелище. Акстриса, конечно, отлично умеет пускать слезу, но однообразие угнетает. Я кстати так и не видела ни одного хорошего фильма про Жанну Д’Арк - все почему-то ударяются в пафос и слишком затягивают судебный процесс. А может, просто сама история мне не очень импонирует. Классическая комедия с Бастером Китоном, сюжет можно даже не рассказывать J Отлично сняты сцены урагана, но в остальном, конечно, «Генерал» гораздо лучше! Очень странный и очень советский фильм про революцию в Монголии. Сама идея достаточно занимательна: найдя в ладанке плененного документ, подтверждающий, что он – потомок Чингисхана, колчаковцы решают сделать его марионеточным правителем. Но наш герой не такой, и наносная роскошь ему противна, поэтому он сбегает к партизанам. Однако видеоряд не особенно хорош, и появляется ощущение, что художественная ценность вовсе не была основной целью съёмок. Это мой первый Хичкок и, наверное, первый триллер. Я не могу сказать, что сразу сделалась поклонником жанра, но снято сильно. Сюжет - в названии: героиня случайно совершает убийство, и кое-кто хочет на этом заработать. Особенно, конечно, впечатляет сцена, в которой Элис перестает слышать что-либо кроме слова «нож» в разговорах других людей. Учитывая, к тому же, что звук в то время только появлялся, отлично придумано! Рекомендую! Я не знаю, почему это называется художественным фильмом, скорее уж это кинохроника. На протяжении всего фильма демонстрируются кадры из жизни города с утра до ночи. Иногда, правда, в кадре появляется и сам оператор, но сюжета это никоим образом не добавляет. Это фильм о женщине, которая со всеми спит и всем приносит несчастье. Вокруг неё мужчины умирают, банкротятся и попадают под суд. Не знаю уж почему, но фильм меня никак не тронул, возможно потому что мотивация персонажей не вполне понятна. Кроме поразительной Марлен Дитрих, фильм может также похвастаться отличным сюжетом и замечательной постановкой. Это история об обычном школьном учителе, который пал жертвой обаяния приезжей актрисы Лолы. Потеряв всю свою гордость и репутацию, он женится на ней и устраивается работать в театр клоуном, в то время как Лола продолжает крутить романы направо и налево. Мне было безумно жаль старика, для него всё очень печально закончилось. История очень трогает, и фильм я безусловно рекомендую! Ещё один Бунюэль, и всё такой же непонятный. Смысла тут конечно гораздо больше, чем в «псе», но находится этот смысл только в некоторых отдельно взятых эпизодах. Сюжет по прежнему отсутствует, зато появились сцены откровенно сексуального характера, и не то, чтобы очень приятные. В общем – опять на любителя. В этом фильме убивают... за трактор! Серьёзно! Ну или вернее за то, что кто-то там что-то не то вспахал этим самым трактором. А, и главная идея в том, что колхозы и прогресс – это хорошо, а ретрограды – убийцы и негодяи. Плоско, товарищи! Это первый гангстерский фильм в списке, и здесь он заслуженно. Главный персонаж крайне колоритен, настоящий бандит! Тем не менее, мрачняк и убийства не придают фильму шарма, видимо просто не мой жанр. 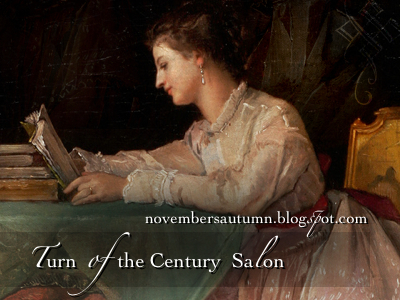 Katherine at November's Autumn is hosting a wonderful Turn Of The Century Salon, and in January she asks the participants to introduce themselves. So here goes the introduction! What draws you to read the Classics? I think there are two main reasons for this. First is the quality of writing. If the book has survived for such a long time and is still published, there must be something in it! Now there are a lot of crap books, and I don't pretend to be knowing enough not to make mistakes in choosing and not to be left with some nothing-in-it and who-writes-like-this book =) I don't have much time and I want to be sure I'm not going to lose it. Second reason is the uncomfortableness I feel when everybody has read a book and I don't. It's even worse is there are allusions to one book from another. I immediately feel the urge to put the book down and read the one mentioned first. So the more classics I read, the more comfortable I feel. What era have you mainly read? Georgian? Victorian? Which authors? I'm not sure about the eras (my knowledge of the British history ends in the Cromwell times :)), but as I now look in the 1001 list, the most ticked books are from the 19th century, especially the middle of it. What Classics have you read from the 1880s-1930s? What did you think of them? My childhood loves from this period are, of course, Twain and Stevenson. I also quite enjoy early fantasy and science fiction - Wells and Stoker fit here. And the detective stories, with Doyle and Christie, are worth mentioning too, I love them! Name some books you're looking forward to read for the salon. Which authors do you hope to learn more about? Is your preference prose? poetry? both? It has been very quiet here, because it's exam time, and I really need all my free time for sleeping. And when I read, I am trying to chose something short and unusual to distract me. That's how I came across The Story of My Misfortunes, which is a medieval epistolary novella, and one of the first Western Europe autobiographies. 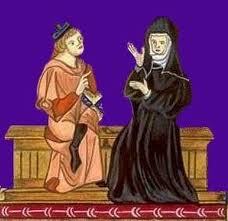 Of course, I knew about Abelard and Heloise. Who doesn't? But I was really curious to know what really happened there and why it ended how it ended. So who better to tell this than Abelard himself? Although he has a VERY good opinion of himself, he is also just, and I admire how he admits that the two most horrible things that happened with him - his emasculation and burning of his book- were well earned by him. He admits his lust and vanity and nearly thanks God for providing such an atonement. Abelard is quite earnest with his readers, and writes even the things he admits is difficult for him to write, so despite his opinion of himself, he is still somehow likable. 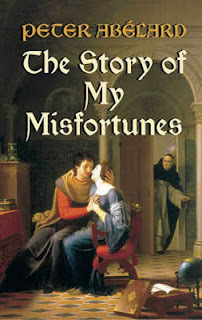 But all my sympathies are not with him, but with Heloise. Here is the strength of spirit! When everybody knows they had an affair (because she had a baby), Abelard is suggesting a marriage to make everything look proper. And she refuses. REFUSES a marriage, despite having a new-born baby and everybody's contempt! Her only concern is Abelard and his scholastic career, and marriage would have put an end to it. So she goes to a monastery and becomes a really good abbess. Unlike Abelard, she finally finds peace. Although sometimes this reading is too full of citations and different abstract thoughts, it was really interesting to read a true (I think, it's the closest we have to truth) story of this. Recommended for those interested in famous love stories, especially in their "real" side. When the dragon finally comes out and tries to settle, he makes friends with a boy and they spend a very pleasant time together until people around find out and start being uneasy about having a dragon around. They even invited a hero (now, can you guess his name?=)) to deal with the dragon, and the boy has to settle everything and not be late for home. And of course he manages, because he reads a lot! It's a very pleasant read, and I found myself laughing out loud during some dialogues between the dragon, the boy and the hero. There's a lot of mild irony, and plenty of clever observations about people's character. I'll definitely be reading something else by Grahame, as this is pure joy. P.S. The book was found thanks to the wonderful Classic Children’s Literature Challenge event in this list, compiled by Amanda @ Simpler Pastimes. Thanks, Amanda! Classic Children’s Literature Challenge is already here, and I've decided to participate also by committing a list of less known Russian Classic Children's literature. I've chosen the books I personally like, which are also translated into English (the corresponding titles are taken from Wikipedia). The books are organized chronologically. I hope this list will encourage someone to explore these wonderful books! 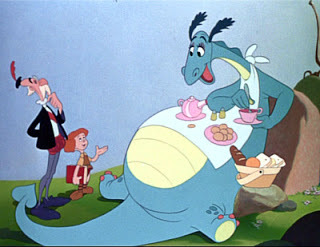 He takes a lot from Esop and Lafonten, of course, but his fables are somewhat different and more funny than theirs. So it's a lighter read and perfect fore children! An early fantasy story which it not like anything I've ever read. I remember how long it troubled my imagination after I read it as a child, so I plan to re-read it sometime. Who doesn't know these? =) If you are interested in children's or Russian literature (or both), it's a must! 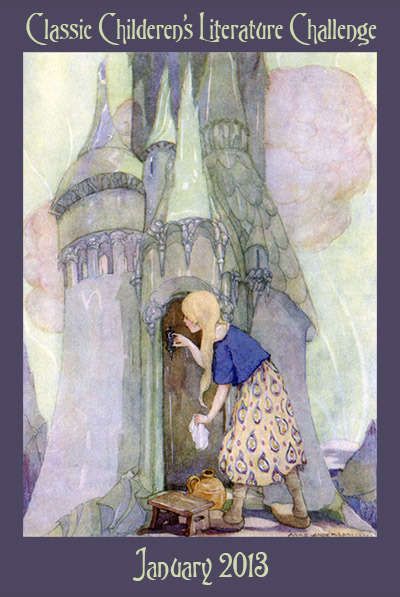 A traditional fairy-tale in literary adaptation. 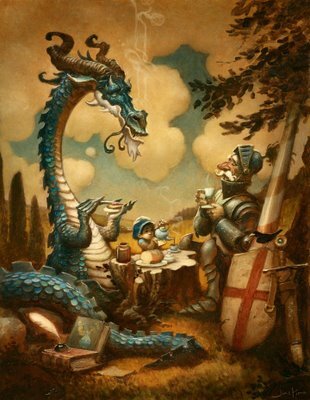 A good introduction to the rich Russian fairy-tales heritage. Another literary adaptation of a fairy-tale. One of my favourite! A somewhat political and revolutionist fairy-tale, but well written and full of adventures. When I read it I was of course aware of the propaganda in it, but it didn't spoil the book at all. That's my personal favourite! Set in the pre-revolutionary Russia, the book tells about normal schoolboys and the country they created for themselves in their imagination. But as world around them changes, the dreams make way for reality, which is not so perfect. But their fantasy land will stay with them and help them survive. Again a story about the life of schoolboys in the whirl of revolution. You immediately connect with the main characters, and you can't put the book down! What would a normal schoolboy do if he finds a jinn, who has spent millions of years in a bottle and is now willing to serve his savior? You'll see =) A VERY funny book! The magic of the old legends of Ural, where malachite is the main trade and business. The mood of the stories is really unique, and they are just fascinating. This is an adaptation of The Wizard of Oz, and to my mind it's much better than the original. You may have fun finding the differences between two books, but sometimes they are so much different, that you can just think of them as of two absolutely different literary works. I've read it hundreds of times, and the series is my absolute favourite! It's very like Harry Potter, only without magic =) But the realism of the situation makes it even better! There is a mystery which a group of children tries to solve, and it gets more and more dangerous! Rybakov is more famous for his "adult" writings, Children of Arbat being the most famous, but these books are in some aspects even better. First two are books for small children with a lot of funny and harmless adventures. But the last one (well, it doesn't really fits into pre-1960 rule, but still) is a real children's sci-fi and dystopian novel! Boring to read as a child, but as an adult I quite enjoyed it. A lot of attention was put to children's education in Russia and especially in Soviet Union, so many famous authors wrote for children and there are a lot of unforgettible books to be found in the field. So I'll be happy if this small guide helps you find some good books if you feel interested, and I'll be very happy to read your thoughts on these books if you've read them or if you will read them!